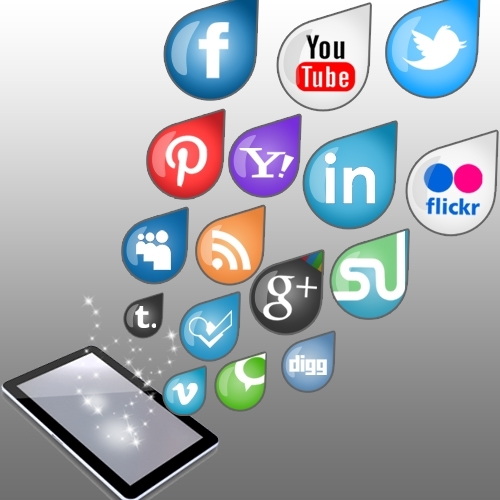 Social media is one of the most powerful marketing tools available to small business owners. Any entrepreneur can pick a social network, make a profile and start adding content to interest consumers. Because the resource is so essential to an organization’s success in today’s increasingly digital age, owners need to master the craft. The following are some helpful tips company leaders should use to perfect their social media marketing strategies. Social networks like Facebook make it so easy to start advertising that some entrepreneurs kick off their campaigns without proper planning. Lisa Fahoury, a marketing expert and the chief creative officer of Fahoury Ink, explained at the American Express OPEN Forum that this is a faulty strategy. “A weak social presence can do more damage to your brand than no presence at all, so don’t launch a page or open an account unless you have a solid plan in place and the resources to support it,” Fahoury said. Small business owners need to treat social media like every other marketing resource, such as promotional items, by taking the time to strategize before using it to bolster brand equity. Developing an in-depth plan is the best way to ensure that an update will support the company and help it reach specific objectives. Defining goals is the best way to get started. Entrepreneurs should think about what they want to achieve by using social media. For instance, one owner may want to improve lead generation while another wants feedback from customers. Having these benchmarks allows professionals to develop strong strategies. It’s tempting to link to product pages on social media. After all, companies can likely increase sales by showing merchandise to Facebook users. However, that might not be the best approach for fostering brand loyalty. Dave Kerpen, chairman of Likeable Media and Likeable Local, told Inc. Magazine that he focuses on telling his story and lets his own personality shine through every post. “When I am authentic, when I am vulnerable, when I am me, customers want to do business with me,” Kerpen said. This strategy isn’t unique to Kepen as he noted that Dennis Crowley, the founder of Foursquare, has gone as far as to tweet about his home. This goes to show that consumers don’t want to follow companies online – they want to connect with people. Small business owners are their own best allies when it comes marketing their enterprises. Entrepreneurs should use their personal stories and add their own sense of humor to posts so that customers don’t feel like they’re reading advertisements every day. The old maxim “you need to spend money to make money” is still true when it comes to social media marketing, even though networks offer free services and tools. According to Entrepreneur Magazine, small business owners should be willing to buy premium features like promoted stories on Facebook and LinkedIn. These will help companies reach out to consumers who don’t follow pages, which can be hugely beneficial to lead generation efforts. Further, the news source points out that many sites offer targeting tools to help entrepreneurs find people who are in the same demographics as current customers. This allows businesses to advertise to users who will likely become buyers after reading a few marketing materials. As a result, sales will increase the company’s return on investment will trend upward. Social media marketing mastery can have a hugely positive impact on a small business that’s trying to remain competitive these days. Following the above tips will help owners improve their campaigns and connect with online customers.